Does Albuquerque Sawmill Land Trust Work? Land trusts have sprung up across the country, with as many as 120 community land trusts in the United States. 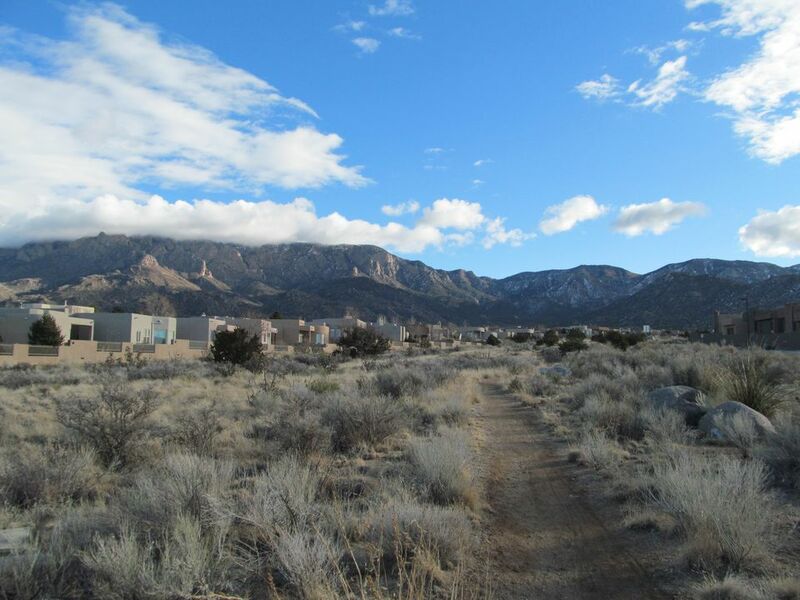 In Albuquerque, the Sawmill Community Land Trust (SCLT) in the Sawmill neighborhood holds ownership of 27 acres of land that was purchased by the City of Albuquerque. Lying south of I-40 and north of Old Town, the area is a mix of residential, commercial and industrial zoning. The SCLT emerged as a trust because the area faced a number of challenges. Urban blight, abandoned buildings and crime were on the rise. But with community determination, neighbors came together to solve the problems and revitalized an area long known for its neglect. But how well do land trusts work? And does the public benefit when a chartered group such as the SCLT overtakes a piece of property? Take a look to see how one community land trusts works. Albuquerque is comprised of a large number of small neighborhoods. One of the oldest of these is in the Sawmill Area2. Just north of Old Town, the neighborhood originally grew up around the railroad station and the industry that came with it. There once was a thriving sawmill, which gave the neighborhood its name. By the 1980s, things began to change. Old Town, once a neighborhood of homes and small shops, was now a merchant’s paradise. Property values escalated. Nearby neighborhoods, once known for their modest homes and modest values, might be next to change. The nearby Ponderosa Products Company was spewing sawdust, making people sick. The 27 acres of vacant land was littered with empty industrial buildings, drawing vagrants and crime. Homeless camps were increasing along the irrigation ditches (called acequias), which were no longer being used for farming. Gentrification was increasing in nearby neighborhoods, such as Old Town. Yet the local residents were low income, and taxes were on the rise. SCLT is a private, non-profit (501c3) corporation committed to creating affordable housing for low-income residents. Their master-planned community is called Arbolera de Vida, or Orchard of Life. By creating a land trust, the community effectively created leverage with the city for the lands around them. Citizens became empowered. Once blighted, the area is now a model for change. When the Barelas Neighborhood Association wanted to create affordable infill housing, it turned to SCLT for advice. In addition, the Wells Park Neighborhood Association asked SCLT for help in master planning its own neighborhood. Long an area plagued with absentee landlords, the Wells Park neighborhood has seen an upswing in remodeling of the area’s small homes. The Sawmill Community Land Trust also provides the area with much needed jobs. The master planning and community involvement have brought in a line of planning and architecture students from the University of New Mexico. The SCLT has a real estate broker, community planners, a membership coordinator, and an administrative staff. And for one former resident, the SCLT launched a political career. Long ago, when Max Ramirez started the Sawmill Advisory Council, he worked with a young woman named Debbie O’Malley. O’Malley cut her community organizing teeth developing the SCLT and Arbolera de Vida. She is now City Councilor for District Two, of which Arbolera de Vida is a part. Owning a home in the Arbolera de Vida does not entitle the owner to the property beneath the home. Community land trusts benefit the most needy and so are marketed as affordable housing. To own a home in the community, you must qualify as being low income. The land trust does not disappear once a home is sold. If a homeowner moves to another home, the trust maintains responsibility of the empty house until another owner can be found. The community ownership carries with it community responsibilities. Buying a property may commit a homeowner to the area for life. Property values remain lower than the norm for surrounding neighborhoods. Land trusts do not engender upward mobility. Land trusts are run by boards which are comprised of many community members, to include homeowners. Sometimes boards do not vote the way homeowners would like, creating change the homeowners don't want. Despite the challenges and drawbacks, the SCLT has overseen a growing community. The SCLT's main project, Arbolera de Vida, or Orchard of Life, has completed two of its three phases. It is currently in production of Phase III. When the 27-acre community is finalized, it will include housing, shops, a community center, a senior center and community gardens. All 23 homes are owner occupied. SCLT’s offices are housed in one of this phase’s homes. Saw the addition of the Sawmill Lofts, 60 live/work rental spaces that were completed in 2006. The Lofts have a community focus and the center of its large building provides space for community events. Brought children into the design process for the upcoming playground. Began the two acre park, which will include walking and bike trails. A working acequia (an irrigation channel) will be used for the future community garden. Where It StandsPhase II of Arbolera de Vida:Now in Phase III, the neighborhood has begun to see some real changes. Phases I and II have brought new homes to the area, and with them, new neighbors and more community commitment. As the area has seen many changes for the better, one vision remains constant. Neighbors still talk with neighbors and keep nearby neighborhoods involved as stakeholders. The Sawmill Area Neighborhood Association5, which lies east and south of the Arbolera, has a hand in all decisions, with one member being on the SCLT Board at all times. The community continues to grow and thrive.